The MR Direct 2020-18 stainless steel sink ensemble spotlights our square bar sink which is the largest of its type offered with a full 18 inch wide interior and an ample depth of more than 9 inches. Durable and functional, this 18-gauge, beautiful brushed-finish, stainless steel sink offers enough workspace that it could be used in limited-space areas as a kitchen sink. The 2020-18 is fully-insulated, equipped with sound-dampening pads, and has an offset drain. 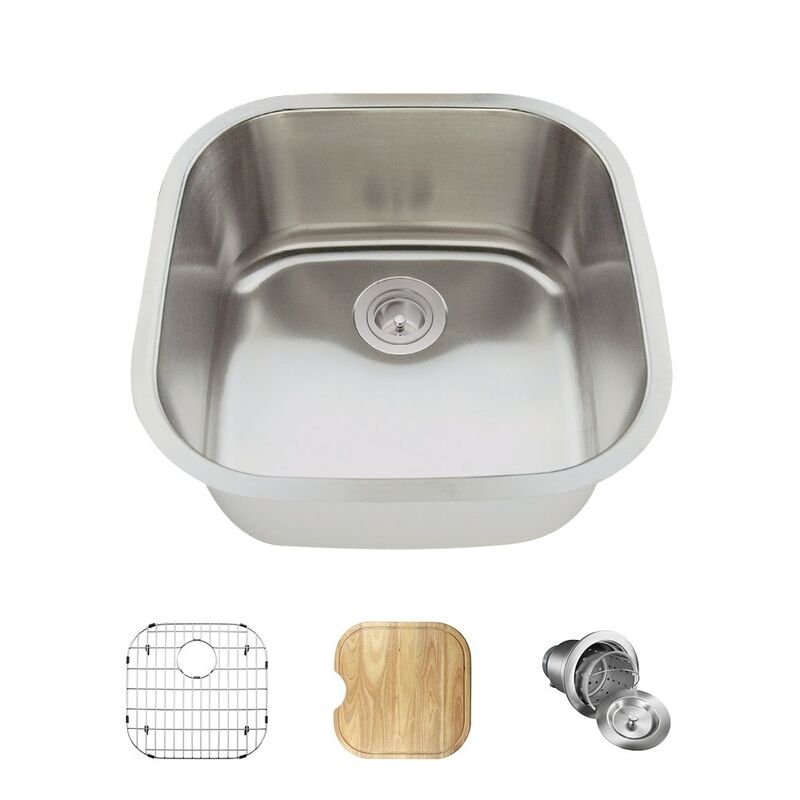 Several convenient accessories are included in this ensemble: a beautiful, natural-wood, custom-fitted cutting board; a custom-designed grid tailored to keep items off of the basin bottom; and a basket strainer to catch scrap materials.